Negril is one of the most casual places in all of Jamaica, known all around the Island for it's relaxed atmosphere and friendly people. Negril, Jamaica is known all around the globe as the fun-in-the-sun mecca of the Caribbean. Negril boasts an incredible seven mile beach covered with soft white sand, as well as cliffs that rise above the gentle surf, where one may enjoy the spectacular Caribbean sunset from a lofty postition overlooking the sea. Negril is known worldwide for it's water sports, as well as some of the best authentic reggae performances you'll find anywhere. Negril is full of good places to eat, as well as many spots all along Negril Beach where locals and visitors alike go to dance, drink, and let loose in the perfect night air. renew their spirit, and to take the time to find themselves again. 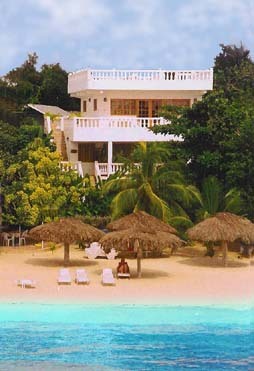 Most visitors to Negril Beach are not millionaires... 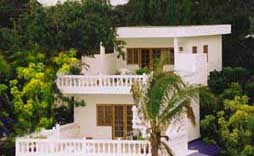 Many of the accommodations on the beach are simple, private hotles and villas. In order to maintain it's natural beautyl, no villas or hotels in Negril may be built higher than the tallest palm tree. Those in Negril know why so manny people enjot the atmoshpere in Negril, and they want to make sure it stays that way. Are you starting to feel relaxed?